Simone Yule qualified in medicine in Cardiff in 1991 and has been practicing at The Blackmore Vale Partnership for the last 21 years. She is a General Practitioner, specialising in substance misuse and treatment, Psychiatry and Women's Health. 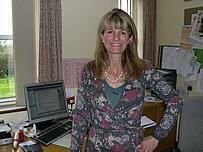 Simone is the Locality Lead GP for North Dorset and sits on the board of the Dorset Clinical Commissioning Group. Simone says that she loves the variability and unpredictability of her work and the chance to work with people from all walks of life. With 2 children and 5 horses, her greatest challenge is juggling home, family, work and hobbies – whilst ‘never judging and always smiling’. Damian Patterson qualified in medicine from St George’s Hospital, London in 1992 having also completed an intercalated BSc in Anthropology at UCL. Dr Patterson has an interest in diabetes, end of life care and general internal medicine. He also enjoys the teaching of medical students and training of doctors in their final Registrar year in general practice. His greatest challenges are the mountains of paperwork accompanying modern general practice. He says however he has no regrets in his chosen profession and thoroughly enjoys the day to day clinical challenges of the job. He relishes living in beautiful North Dorset with his wife and 2 children. Katie qualified from Bristol in 1998 and completed her GP training in the South-West and Australia. She has a special interest in skin conditions and has diploma in Dermatology from Cardiff university. She also has an interest in Women's health and fits subdermal contraceptive implants. In her spare time she enjoys spending time with her family, and going kayaking and skiing. 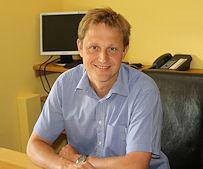 Dr Kershaw qualified from Manchester in 1998 and completed his GP training in Liverpool in 2005. James was a GP partner in Leigh and then Salford for 11 years before moving to North Dorset to be closer to family and friends in South Somerset. He has special interests in respiratory medicine (asthma and COPD), heart failure, general medicine and also provides joint injections for shoulders and knees. He has also recently taken on the role of lead partner for medicines management for the practice. In his spare time he enjoys gardening, mountain biking, spending time with his young family and looking up at the stars with his telescope. Dr Ainsley is an experienced General Practitioner having qualified from Nottingham Medical School in 1997, working in Cornwall for 10 years and then Australia for seven. Dr Ainsley joined Blackmore Vale Partnership in 2015 to enjoy some Dorset countryside lifestyle and be closer to family. Dr Ainsley enjoys all areas of General Practice but has special interests in women’s health, sexual health & contraception, mental health, aged care and skin issues. Procedures offered include contraceptive implant fitting and intra-uterine device (coil) fitting . Dr Ainsley is also trained in Dive and Hyperbaric medicine and can offer the Epley manoeuvre for positional vertigo. 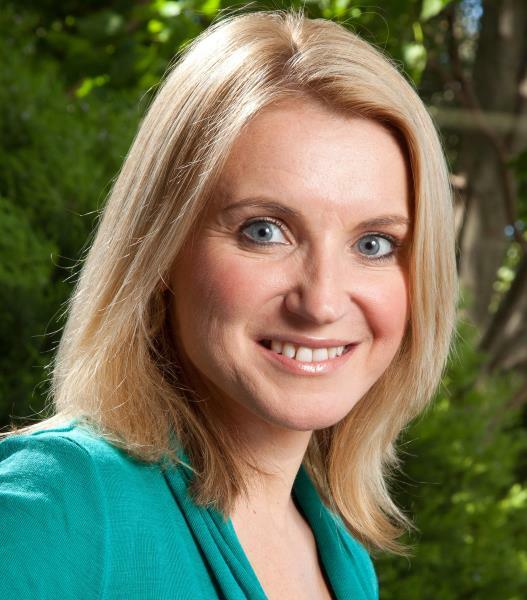 As well as scuba diving, in her spare time, Dr Ainsley enjoys country walks, yoga, eating out, and travel. Elise Bevan qualified from Bristol University in 2009. She joined the Blackmore Vale Partnership shortly after completing her GP training in 2017. The variety of the work is what attracted her to general practice. She is pleased to be back in the countryside following several years of working in large towns and cities in the South West. She has always been a keen dancer and continues to attend classes. In her free time she also enjoys reading and going for walks as well as playing board games with her husband. Julia qualified from Cardiff Medical School in 2014 and has settled in the South West since. She is the BMA GP Trainee Representative for our region and looks to develop her skill sets and interests over this year. In her spare time she enjoys baking, Triathlons and spending time with friends and family. Dr Ward qualified from the University of London and the Royal Free Hospital in 1994 and worked in hospital medicine for some years before training to be a GP in Devon. Duncan was a GP Partner in a practice in London before deciding to relocate to Sherborne with his wife Dr Anne-Marie O'Carroll. Since his move to Dorset, Duncan has been working in Yeovil. In his spare time Duncan enjoys Opera and travel with his family. Dr Grist qualified from St George's Hospital Medical School, London in 2003. He spent the next few years working in hospital medicine before completing GP training in 2011 in Sturminster. He was subsequently a partner in Sherborne and then practised in Yeovil but was pleased to return to Sturminster in September 2018. 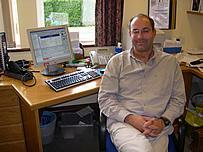 He enjoys the variety and continuity of care working in general practice and loves rural Dorset. Matt lives near Dorchester with his young family and enjoys the outdoors, especially running, walking and sailing. Dr Rippin grew up in a village north of Oxford. In his life before Medicine he worked in factories, delivered boilers and worked as a fully-qualified driving instructor in Notting Hill ! After eighteen years in London, where he did a few Degrees, and worked as a Clinical Biochemist at Chelsea and Westminster Hospital and Great Ormond Street, he headed north to Nottingham to study Medicine, where he met his wife, (who is also a GP). After qualifying as a doctor he undertook training in General Medicine, then, as his family grew he changed to General Practice. Dr Rippin's passions are for his family, Welsh rugby his double bass and a secret desire to one day be a stand-up comedian. He can't think of anywhere better to live and work than North Dorset. Having qualified in Manchester I lived in the North West, and worked as a GP partner in Bury for nearly 10 years. I moved to Dorset with my young family in 2016 for a change of pace. I enjoy the variety of general practice, and have an interest in Women’s health and mental health. In my spare time I enjoy attempting to maintain my fitness with parkrun on a Saturday morning, and exploring the Dorset countryside. The practice is a training practice, which means that we take students from a number of teaching hospitals to give them experience of general practice. We also train GPs, these are known as GP registrars and they work with the practice for 6 or 12-month periods. We wish to thank all our patients for allowing these students and doctors to see them and to sit in on consultations with them. Without this it would not be possible to train the doctors of the future. Richard works as a nurse practitioner which involves the assessment, identification and treatment of undifferentiated illnesses. This could also involve referral tests and opinions from other healthcare professionals. He also works as Clinical Services Manager, managing and leading all the non medical clinical staff, and the delivery of services to the local population. Nurse Practitioners are experienced registered nurses who have undertaken a specific course of study at degree level or above. They work side by side with GPs and can carry out: physical examination, making a diagnosis, requesting tests, arranging treatment including prescriptions and referring on to specialists if needed. They will discuss your case with a doctor or arrange for a doctor to see you if they need assistance in managing your problem. Nurse Practitioners do not provide cryotherapy (freezing warts), travel health information or immunisations, and do not routinely change dressings or perform blood tests. They are also unable to sign a fit note. The nurses also run clinics for Asthma, COPD (respiratory problems) Diabetes, and Healthy Heart. These appointments can be made by contacting the Nurse Secretary on 01747 856708 (Abbey View) or reception for Sturminster Newton and Marnhull on 01258 474500. We are a training practice for practice nurses and a community placement for student nurses. Appointments with the HCA for blood tests, blood pressure checks and new patient registration checks can be made by telephoning reception. Appointments for blood pressure home monitoring and the 24 hour blood pressure machine can be made by contacting the Nurse Secretary on 01747 856708 for Abbey View or reception for Sturminster Newton and Marnhull on 01258 474500. Jane Dawes is our practice manager but also a non clinical partner in the practice with the GPs. Jane has a wealth of NHS experience, having previously worked in Primary Care Trusts, Strategic Health Authorities and other practices in Dorset. The role of the practice manager is to manage all of the business aspects of the practice such as making sure that the right systems are in place to provide high quality patient care, human resources, finance, patient safety, premises and equipment, information technology and business planning. Jane also supports the GPs and other medical professionals with delivering patient services and also helps to develop extended services to enhance patient care. Our Practice Manager is responsible for the day to day running of the Practice and liaises with all the Partners, members of staff and patients. If you experience problems with the running of the Practice please ask to see them. Sarah is our IT and Data Quality Manager. Sarah is responsible for all the computer systems we use across all of our sites, alongside the phone system and medical devices used by our clinicians. She also manages the scheduling for our GP's and Nurse Practitioners appointments and their leave and oversees the maintenance of the buildings at both Shaftesbury and Fontmell Magna. She has worked at the practice since 1995 and enjoys the challenges each day brings alongside the many new things to learn. Kay manages all aspects of the practice finances for all of our sites. Laura leads on the running of all of the back office functions of the practice, she is responsible for managing our domestic team who keep the premises shiny and clean. Laura also works with Sarah Barford Pike on the IT systems at Sturminster Newton and Marnhull. Our Reception team deals with appointments, repeat prescriptions and visits. Our trained and experienced staff seek to ensure smooth and efficient attention to your requirements, in accordance with Practice policy. The Medical Personal Assistants will help with queries, test results, sick notes and messages for your doctor. The Medical Secretaries will help with all of the referral letters to consultants for the doctors and other clinicians. They also look after all aspects of choose and book and are available for patients to contact should they have any difficulty in booking their hospital appointments. The Community Midwives are a small team, based at the practice, able to give advice on all options of care throughout your pregnancy, labour and offer care at home for up to 28 days following the birth. They also provide a 24 hour emergency service. Their philosophy of care is that the relationship between mother and midwife is fundamental to good midwifery care. You are able to have an appointment with the midwives without seeing your GP first. The specialist nursing skills of the Community Nursing Team, led by a District Nurse, provide care at home to those who are housebound, that is, they require medical transport to leave their home. Patients whose diagnosis or the procedure required means that it is only safe, or practicable to provide care in their home can also be visited. The team provide planned care, support, information and advice to minimise the complications associated with any health problems you have. The team aim to put you at the centre of what they do to ensure that you have a say in your care. Based at the surgery the Health Visiting Team are specialist nurses who work within the primary health care team and work with families and children up to 5 years of age. They monitor child development, promote family and public health, offer advice on immunisation and run a weekly child health clinic. If all are out please leave a message on the answer machine and you will be contacted as soon as possible. If it is an emergency please dial the main surgery number.